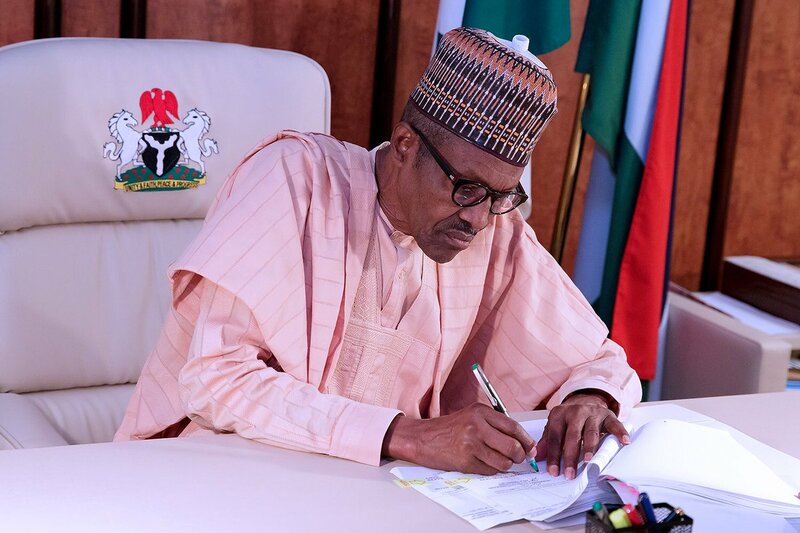 The controversy over the proposed release of $1 billion dollars from the Excess Crude Account (ECA) to fight insecurity in the country has further exposed the imbalance in the Nigerian federation.Recently, acting on a request by the Federal Government, the Nigeria Governors’ Forum (NGF), approved the release of the money from the $2.317 in the account, which belongs to the three tiers of government to fight insecurity. Initially the Federal Government said it needed the money for final decimation of the Boko Haram insurgency in the troubled Northeastern axis of Nigeria, which for years, has been at the mercy of a terrorist group regarded as the most dangerous in the world. Although Abuja was to later say the money would be spent to tackle insecurity in all parts of the country, the proposal generated so much debate that the legality of the Federal Government to spend a substantial portion of the commonwealth on an exclusive item was questioned. Questions were also raised about the legality of the NGF, an organisation not recognized by law, to appropriate funds on behalf of governments when the bodies saddled with the responsibility, the National and State Assemblies, were not carried along.There were also questions about why the local councils which, under the law, should have direct allocations from the ECA, were neither consulted nor represented before and when the decision was being taken, a development that confirmed that state governors have usurped the role of the third tier of government. Since the commencement of the current democratic dispensation, the local councils that were designed by the 1999 Constitution to bring governance close to the grassroots with assigned items on the residual list, have gradually lost their authorities to the states.Nowhere is this more pronounced than in political control which has left council administration at the mercies of greedy state governors who install their lackeys, against all democratic tenets, as heads of Local Governments in order to have illegal but effective control of both the ballot and the purse. Several attempts to grant autonomy to the councils by cutting the umbilical cord of Joint Allocation Committees (JAC) that connected the two tiers financially and abolishing the State Independent Electoral Commissions (SIECs) that put the control of the ballot in the hands of the states, were rebuffed by the state legislatures which, in the current circumstances, have also lost their authorities through manipulative politics of emergence of individual lawmakers. Coming at a time when calls for the entrenchment of fiscal federalism, devolution of powers and increased delegations of authorities to the local councils for grassroots development were at the peak, the proposal on ECA generated an intense debate across political party lines.First to raise his voice against the proposal was the governor of Ekiti State, Ayodele Fayose, who said it was illegal for the Federal Government and the NGF to unilaterally decide how to expend the money without following the usual sharing formula proposed by the constitution. He further alleged that the money was meant to prosecute the 2019 elections for the ruling All Progressives Congress (APC) and that the retention of the Service Chiefs after they were due for retirement by President Muhammadu Buhari was part of the plot to execute the plan. With investigations about the alleged massive deployment of the ECA fund released on the pretense of fighting Boko Haram insurgency, to prosecute the 2015 reelection bid of former President Goodluck Jonathan still on going, the impression was created that the account may have been turned into one of slush fund for illegal electoral purposes. 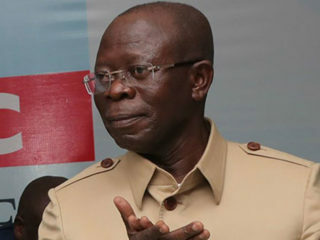 While some viewed Fayose’s opposition as a statement from a governor that always wanted to be in the news for criticizing the Federal Government even when there is no need for such, many looked at the merits in the criticisms as an opportunity to raise questions about the operations of the Nigerian political and administrative structures. 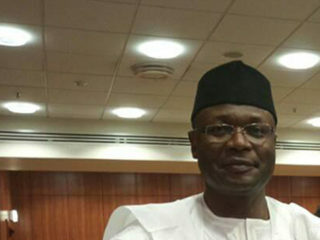 The Peoples Democratic Party (PDP) also criticized the proposal and wondered how the APC government avoided the direct constitutional appropriation channel of the National Assembly for funding of items already provided for in the federal budget if it actually has nothing to hide.The party in a release by Kola Ologbondiyan, its Publicity Secretary, said, “We are concerned about the manipulative tendencies connected with the approvals and veracity of claimed purpose of the fund. 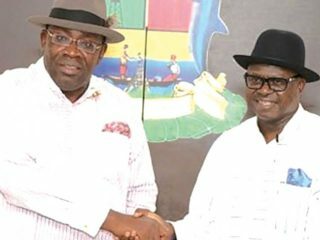 Following Fayose’s opposition which culminated in the 16 councils of Ekiti State heading for courts to demand their share of the fund, two other governors, Nyesom Wike of Rivers and Udom Emmanuel of Akwa Ibom, raised objections to certain aspect of the proposed release even though they did not condemn the decision. While several members of the National Assembly have voiced their opposition to the proposal, Leader of the House of Representatives, Femi Gbajabiamila said federal legislators have no business controlling the fund since the money does not belong to the Federal Government alone but to all the three tiers of government.He said, “There is a clear misunderstanding of the powers of the National Assembly over public funds and its limitations. The National Assembly only has the power of appropriation over monies belonging to the Federal Government. “The ECA does not belong to the Federal Government but to the three tiers of government. 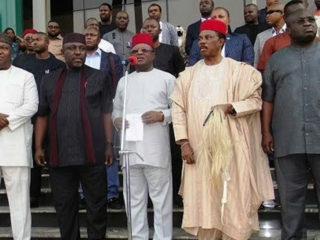 The National Assembly cannot query how the states decide to spend their money. The only institution that can query this is the state assemblies.“Where the governors have decided to “donate” some of their funds from the ECA to fight Boko Haram, their state assemblies can kick against it that such was not appropriated by them. “I do agree that due process wasn’t followed by the governors as they should have sought approval of their states before the donation. It is however not for the NASS to complain on behalf of the State Assemblies. This is part of the principle of separation of powers in a constitutional democracy.”Opposition to the issue has also exposed the lack of trust in the country’s leadership by many Nigerians who take any information from government with a pinch of salt. While the incumbent Buhari administration may not be blamed solely for this, mind-boggling revelations about how the previous administration of Jonathan misappropriate the fund for election purposes while the insurgents got emboldened in their destructive activities, increased suspicions that the current government may be planning to tread the same route.Speaking on this, Katsina State governor, Aminu Bello Masari, vouched for the integrity of the president saying, “Going by the antecedents of President Muhammadu Buhari, it is not possible for the money to be diverted. But Minister of Information, Alhaji Lai Muhammed, said unlike what critics of the release were saying, the scope of the fund is beyond Boko Haram insurgency as it is meant to tackle security challenges facing the country including illegal bunkering, kidnapping and cattle rustling. According to the Minister, “I said the criticism is unnecessary and uninformed because everyone knows the role the military is playing in helping to tackle the numerous security crisis facing the states, not to talk of the war against Boko Haram. “The fact that Boko Haram has been largely degraded does not mean the war is over. As we have said times without number, asymmetric wars like the one against Boko Haram do not end with an armistice. It is therefore curious that some of those who have criticised the 1-billion-dollar approval have hinged their argument on the fact that the Boko Haram has been degraded. Perhaps also, the critics do not know that fighting an asymmetric war is costlier than fighting a conventional war. In any case, wars, especially the war against terror, are never fought with budgetary provisions. “It is common knowledge that the annual budgetary allocation to the military is not commensurate with the internal security challenges we face, for which we have had to continuously rely on the military to assist the police and the Civil Defence Corps. When insurgents take over a chunk of our nation’s territory, we turn to the military. Using an arm of the security apparatus to justify his claim, he said, “Let’s get down to the brass tacks by looking at the operations of just one arm of the Nigerian Armed Forces, in this case the Nigerian Air Force, in tackling just one of the security challenges facing the nation, let’s take the Boko Haram insurgency. “The aircraft being used for the war, including fighter jets and helicopters, altogether consume 64,021.08 litres of fuel per day. With the aircraft flying a total of about 30 sorties a day, and at N275 per litre, it costs a total of 15,153,428.25 Naira daily to fuel the aircraft. On the wave of criticisms against the plan, Muhammed urged the opposition to provide only constructive engagements saying, “There is nothing wrong in the opposition offering constructive criticism. We understand this clearly because we were in the trenches until 29th May 2015. Democracy allows the citizens to freely air their opinions. However, there is no way the issue will not be dragged into the arena of politics because apart from the questions about the legality or otherwise of the release, opposition politicians would have to criticize the move even if it is only on the suspicions that it was meant to prosecute the 2019 elections.